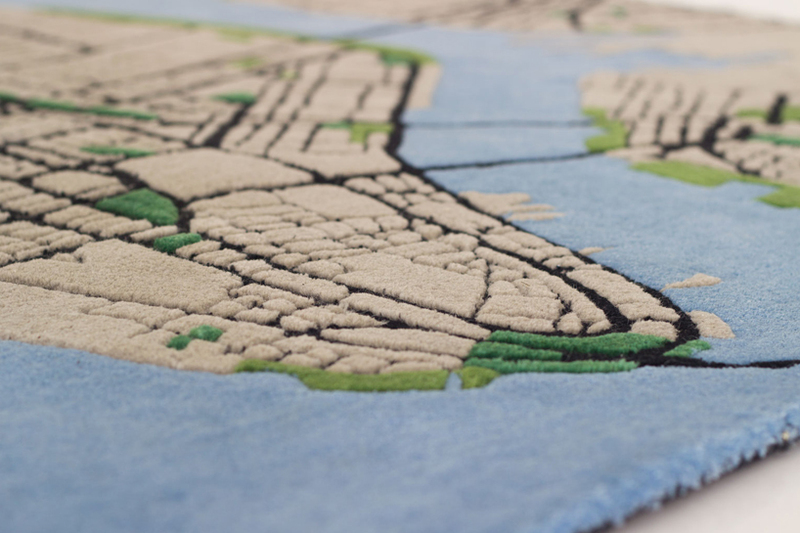 From graphic design to furniture design, Cape Town-based Ollie de Wit adds dimension to conventional carpets to bring interesting texture to carpets. 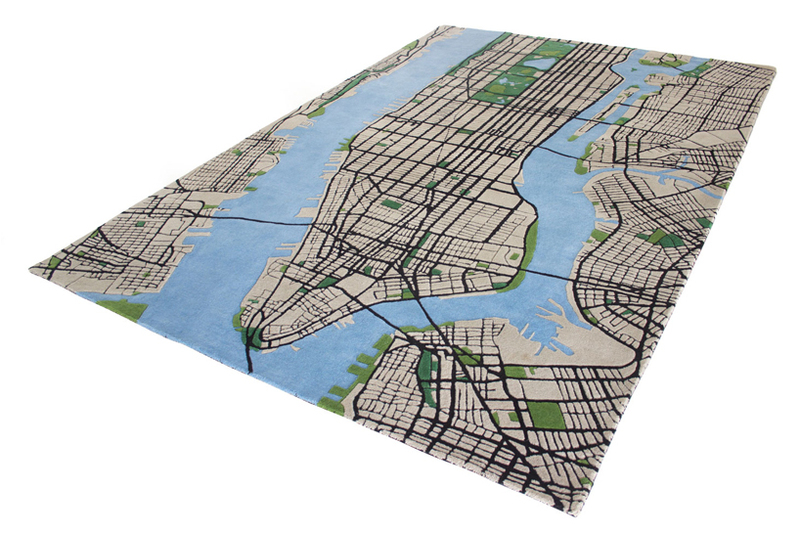 New York City provided the inspiration for this newest collection from Shift Perspective, a furniture design studio. 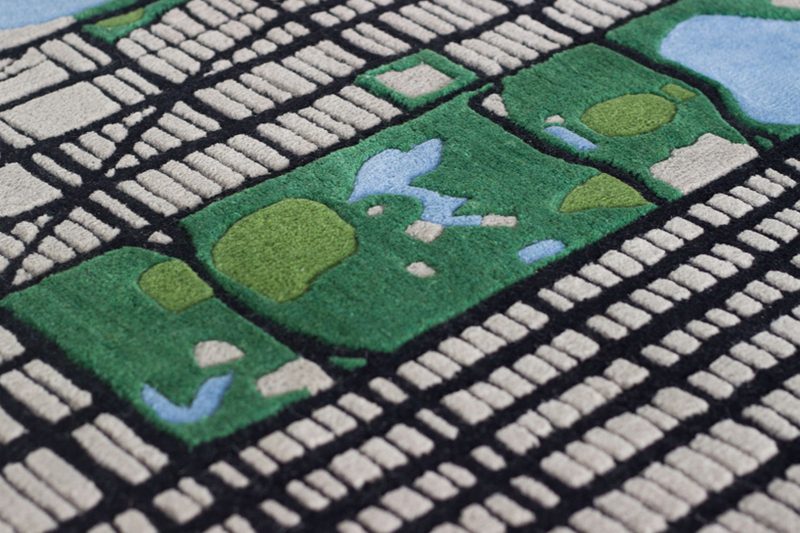 New York is such a rich visual story and Ollie used the NYC landscape to completely relook carpet aesthetic and functionality. 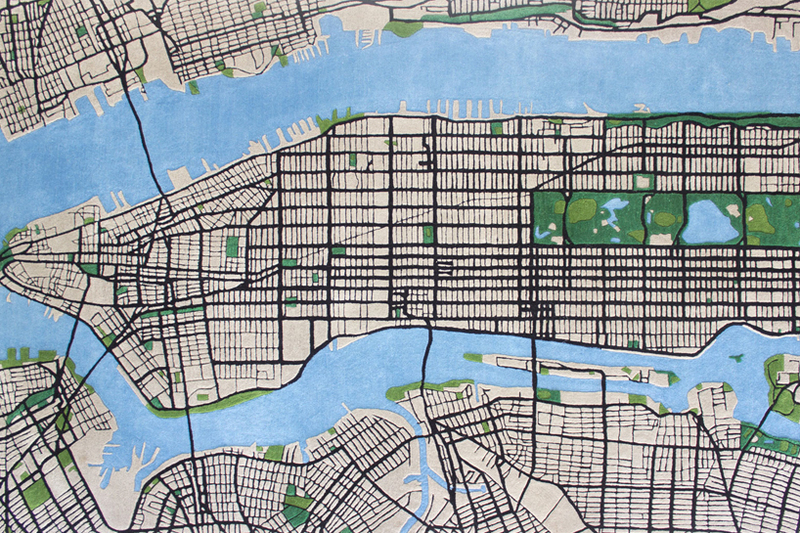 “The New York City Carpet maps out almost every the street, park, concrete area and waterway of this busy metropolis. 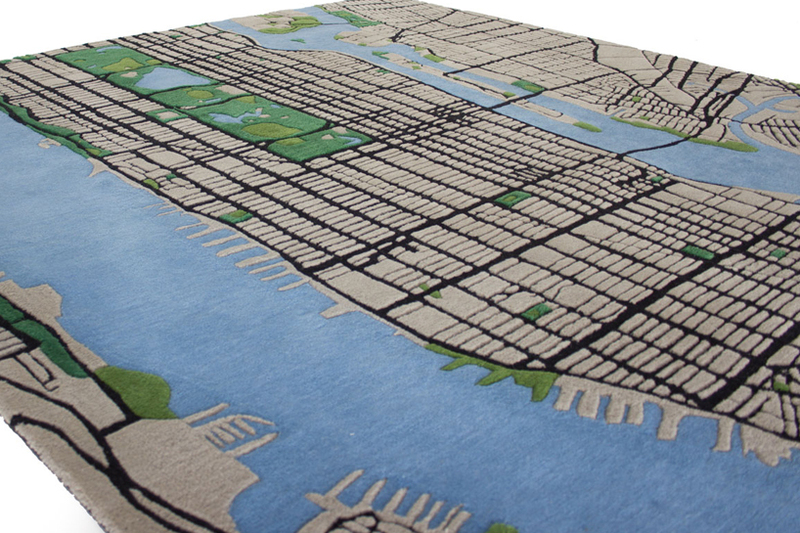 The bottom part of the carpet includes the southern tip of the Manhattan Island while the top features the famous Central Park seen in so many movies,” according to Ollie.